Looking for the perfect touch to add to your backyard living space? Consider installing a fire pit to your patio. Olde Towne Chimney & Fireplace Sales specializes in creating a beautiful focal point in your backyard with a wide variety of fire pits. 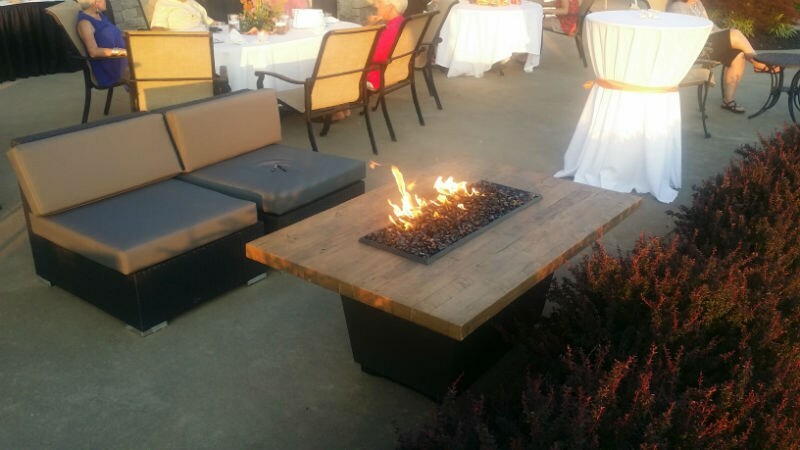 We are proud to carry well-known name brands such as Napoleon, American Fyre Design, and FireGear, and we can show you many different types of fire pits, including rustic fire tables, modern mirrored fire pits, and contemporary curved basin styles with stone and stucco options. Having a fire pit in your backyard provides several benefits, and we would like to tell you more about why your outdoor living space needs a new fire pit. When you have a fire pit installed in your backyard, you are able to spend more time outside, even in the winter. Providing a great source of heat, your family and friends will love being cozy and warm around your fire pit. Many homebuyers today look for homes with outdoor living spaces that include a fire pit. According to Homestead Backyard, installing a fire pit significantly boosts the value of your home. When the market is full of great homes for sale, your fire pit could be what sets your house apart from the others when you are ready to sell. A fire pit creates an intimate and inviting atmosphere for spending time with family and friends. Plus, you can toast kabobs and roast hot dogs and marshmallows over the fire for easy and fun snacks at any time. If you need more space for entertaining, a fire pit is an economical way to add more room for your guests to relax at your home. Want to cut back on the amount of time your family spends watching television? A fire pit is an excellent way to get everyone outside to talk about their day. Even your teenagers will discover that having conversations while gazing at beautiful flames is much more preferable than staring at the TV in silence. Extend the life of your outdoor living space. Contact us at Olde Towne Chimney & Fireplace Sales to learn more about our fire pit options.